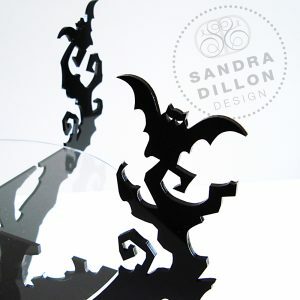 This cake stand makes a perfect Halloween centrepiece and will fit an eight inch cake comfortably. 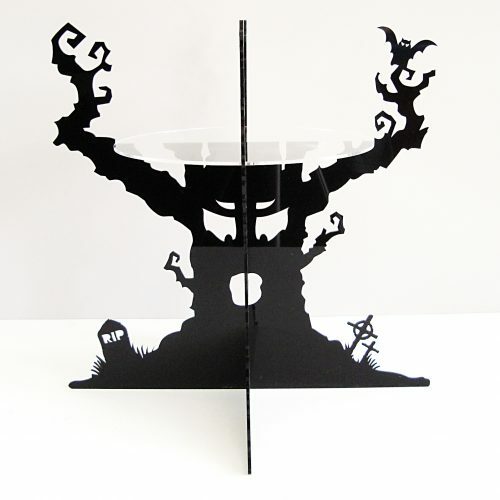 Imagine a devilish dessert piled high on the Haunted Tree cake stand. 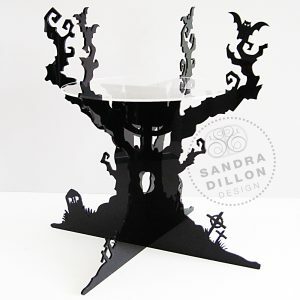 This cake stand makes a perfect Halloween centrepiece and will fit an eight inch cake comfortably. Made from sturdy 4.5 mm black acrylic, the Haunted Tree rises above a graveyard and if you look carefully you may just spot some bats. 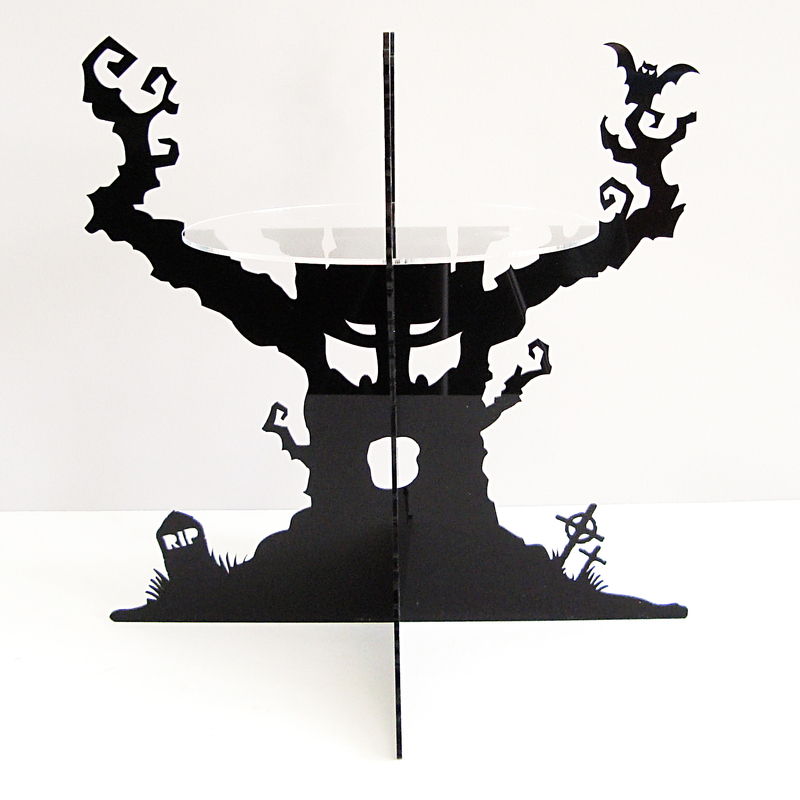 The plate is clear acrylic so if cupcakes are used on top you won’t miss any of the tree’s tortured detail. 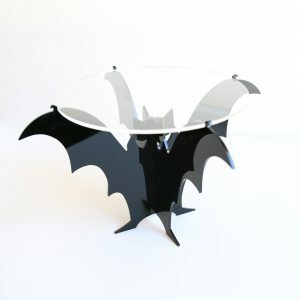 Available in black only with a clear plate.